Never burn your fingers again. 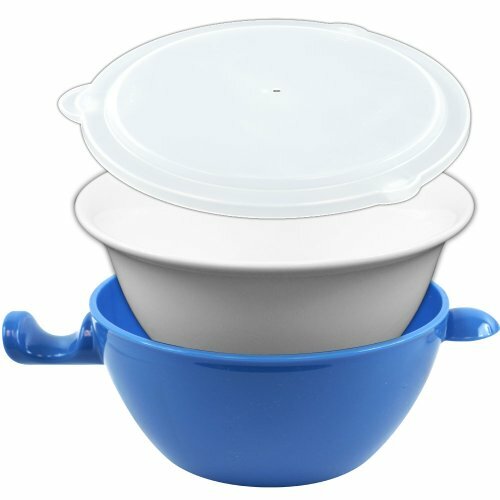 This unique 3-piece set, ceramic bowl fits inside microwave safe plastic bowl allowing the food inside the bowl to cook fast and stay warm. Handy lid keeps microwave clean by preventing splatters. Unique handle on the outer bowl allows for eating straight out of the microwave without dirtying more dishes and lets you hold the bowl with one hand. If you have any questions about this product by Chef Buddy, contact us by completing and submitting the form below. If you are looking for a specif part number, please include it with your message.